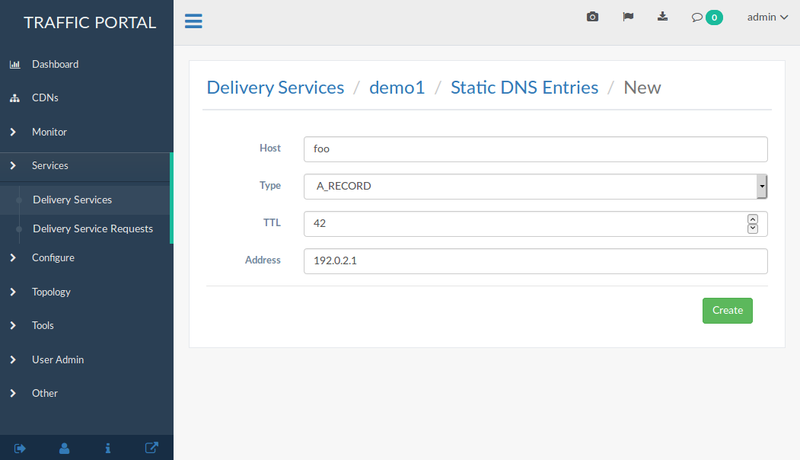 Create two target Delivery Services in Traffic Portal. They must both be HTTP Delivery Services that are part of the same CDN. Create a Delivery Service with Type STEERING or CLIENT_STEERING in Traffic Ops. Click More ‣ View Targets and then use the blue + button to assign targets. Any requests to Traffic Router for the steering Delivery Serviceshould now be routed to target Delivery Services based on configured weight or order. This example assumes that the Traffic Ops instance is running at to.cdn.local and the administrative username and password are admin and twelve, respectively. This is not recommended in production, but merely meant to replicate the default CDN in a Box environment!